UCLA education professor Marjorie Faulstich Orellana is a Fellow of the Sudikoff Family Institute for Education & New Media, an initiative that supports the public engagement of faculty at UCLA’s Graduate School of Education & Information Studies. Professor Faulstich Orellana’s work examines the daily life experiences of the children of immigrants in urban schools and communities, and places particular emphasis on children’s work as language and culture brokers for their families. 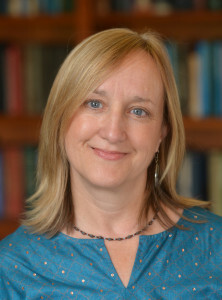 Her research has aimed at communicating a greater understanding of the broad range of ways in which bilingual children use their knowledge of two languages to mediate information for others. Her book, “Translating Childhoods: Immigrant Youth, Language and Culture” (Rutgers University Press 2009), explores the role that immigrant children play as language brokers at home, school, and in public places. Professor Orellana’s interest in children, language, literacy, migration, and social justice took hold while working as a bilingual third grade public school teacher in Los Angeles from 1983-1993. Prior to joining the faculty of UCLA’s Graduate School of Education & Information Studies in 2003, Orellana served on the faculty of the School of Education & Social Policy at Northwestern University. A graduate of Brown University, she completed her graduate studies and earned her Ph.D. at the University of Southern California in 1994.